Part of the Lusso Collection. This set includes: Headboard ONLY - RAILS NOT INCLUDED. Fabric: White Faux Leather. Baby & Kids' Furniture (2810). Modern and Streamlined. Our goal is to provide you with a huge selection and the freedom to choose from only top quality products, without overwhelming you with poor value options. Part of the Lusso Collection. This set includes: Headboard ONLY - RAILS NOT INCLUDED. Fabric: Black Faux Leather. Baby & Kids' Furniture (2810). Modern and Streamlined. A padlock icon should also appear at the top of your browser. Part of the Lusso Collection. This set includes: Headboard ONLY - RAILS NOT INCLUDED. Fabric: White Faux Leather. Baby & Kids' Furniture (2810). Modern and Streamlined. So why buy from us?. And our friendly and knowledgeable phone staff is available 24-7! Available in Full/Queen or King/ California King sizes. Headboard Only Option. Available in Full, Queen, King or Cal King. A padlock icon should also appear at the top of your browser. This indicates that you are protected within our 128-bit SSL secure server, where all data is encrypted for optimal security. Part of the Lusso Collection. This set includes: Headboard ONLY - RAILS NOT INCLUDED. Fabric: White Faux Leather. Baby & Kids' Furniture (2810). Modern and Streamlined. A padlock icon should also appear at the top of your browser. Enhance your bedroom with the elegantly designed Phoebe Headboard in Vinyl. Minimalist and chic, Phoebe transforms with sleek lines and a stunning nail button trim accented in silver. Set Includes. Lifestyles change the way we live and Howard Elliott's mission is to create exceptional products which truly finish a room. Howard Elliott distinguishes itself from the competitors with the effortless adaptability of our product line. Revel in relaxation with the Preston Bed set. The scalloped edge shape of the headboard is highlighted with nickel or antique brass trim. Available in Full/Queen or King/ California King. Headboard Only Option. 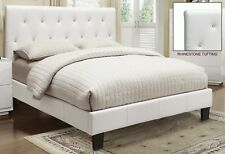 Give your bedroom streamlined sophistication with the Reston Bed set. Available in Full/Queen or King/ California King sizes. Decorative Nailhead Trim and Tufted Headboard Design. Headboard Only Option. Available in Full/Queen or King/ California King sizes. Headboard Only Option. Available in Full, Queen, King or Cal King. Our goal is to provide you with a huge selection and the freedom to choose from only top quality products, without overwhelming you with poor value options. Part of the Lusso Collection. This set includes: Headboard Rails. Fabric: White Faux Leather. Baby & Kids' Furniture (2810). Modern and Streamlined. A padlock icon should also appear at the top of your browser. Part of the Lusso Collection. This set includes: Headboard Rails. Fabric: Black Faux Leather. Baby & Kids' Furniture (2810). Modern and Streamlined. Our goal is to provide you with a huge selection and the freedom to choose from only top quality products, without overwhelming you with poor value options. Part of the Lusso Collection. This set includes: Headboard Rails. Fabric: Black Faux Leather. Baby & Kids' Furniture (2810). Modern and Streamlined. So why buy from us?. And our friendly and knowledgeable phone staff is available 24-7! Part of the Lusso Collection. This set includes: Headboard Rails. Fabric: White Faux Leather. Baby & Kids' Furniture (2810). Modern and Streamlined. Our goal is to provide you with a huge selection and the freedom to choose from only top quality products, without overwhelming you with poor value options. Part of the Lusso Collection. This set includes: Headboard Rails. Fabric: White Faux Leather. Baby & Kids' Furniture (2810). Modern and Streamlined. So why buy from us?. And our friendly and knowledgeable phone staff is available 24-7! Gage 1.1 to 1.3. Buffalo High Quality Leather hide. (36 Square ft ). One of each colour available! 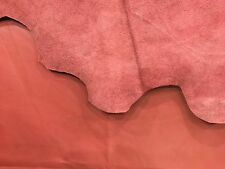 If you want to buy these leather hides in bulk quantity, that can be. also in Urdu, Punjabi & Hindi.